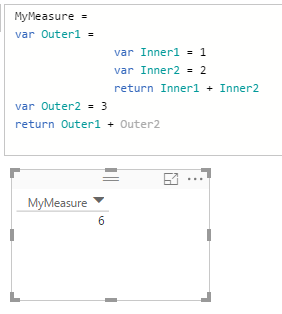 Here’s some interesting (and borderline buggy) Excel PivotTable behaviour I learned about today from Charles-Henri Sauget, as well as the workaround for it courtesy of the great Greg Galloway. 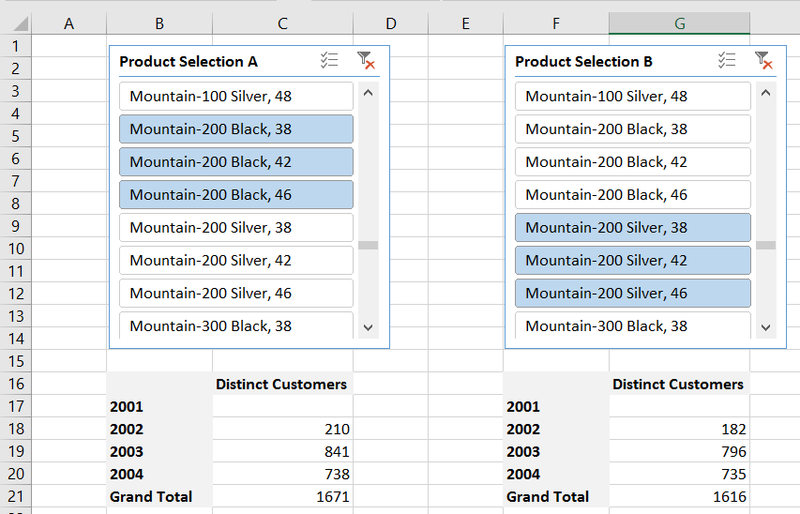 (different versions of Excel may return different numbers of rows here, but still not the full number). 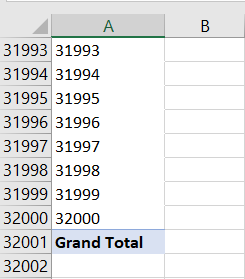 I suspect the reason Excel is generating the crazy-long MDX statement by default is that it’s the only way to prevent new members being added to the PivotTable if they are added to the attribute hierarchy in future. 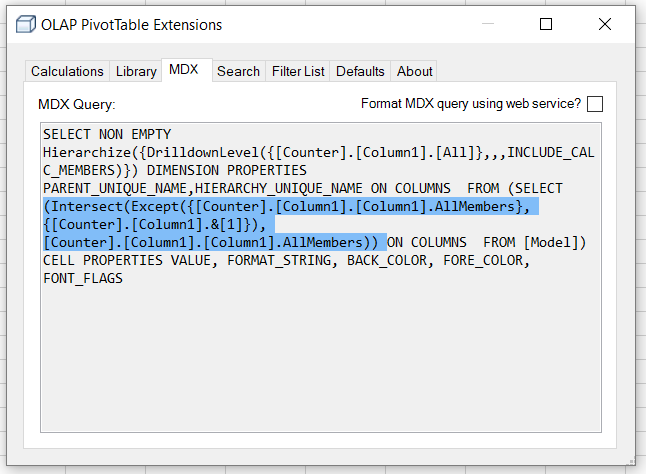 On a really large attribute hierarchy, though, the risk is that the resulting MDX query might exceed the maximum length of a query, so Excel has to truncate the number of members returned to make the query shorter. 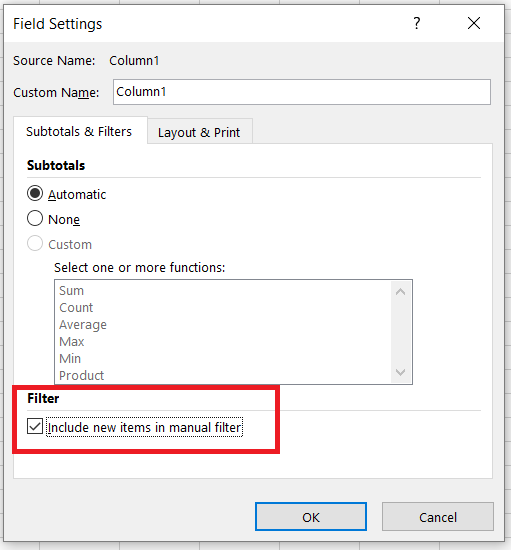 With “Include new items in manual filter” selected, though, it’s ok if new members do get added to the PivotTable in the future so it’s ok to use the Except() function in the query. Instead, you have no choice but to handle this in MDX. 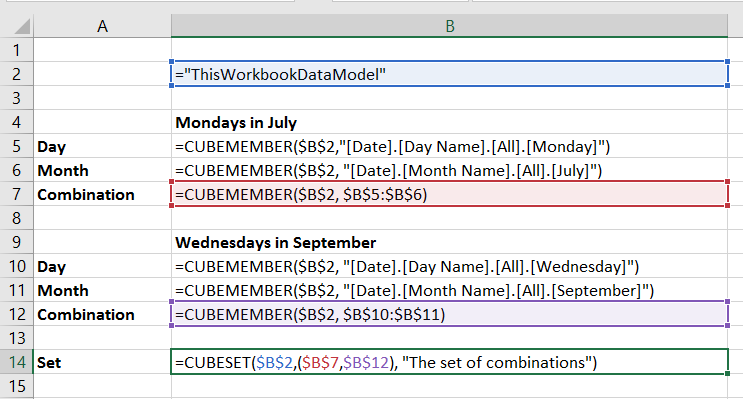 In the screenshot above the CubeSet() formula is used in H3, while in H4 there’s a formula using CubeSetCount() that shows the set contains three members. This MDX uses the StrToMember() function to interpret the contents of a string as an MDX expression returning a member; if this expression returns an error then it is trapped by the IsError() function and an empty set is returned. 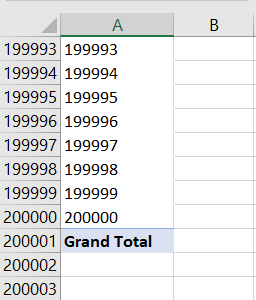 This isn’t particularly pretty, though, and ideally the MDXMissingMemberMode connection string property would be set to Ignore in the Excel Data Model connection string property. 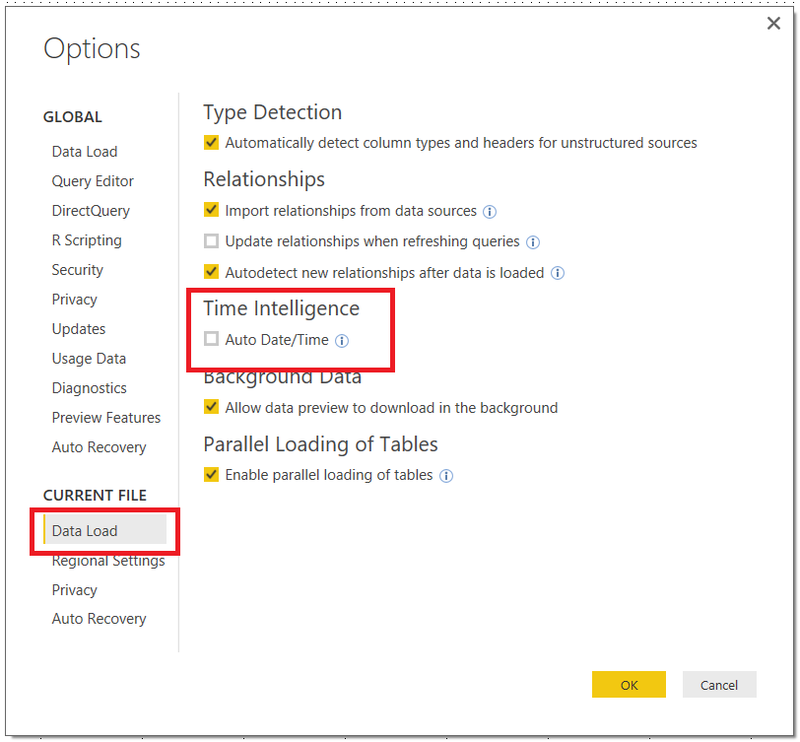 Opinion is split over Power BI’s ability to automatically create Date hierarchies in your model. Personally it drives me mad and I always turn it off, but I know a lot of people love the convenience of it. Whatever your feelings, though, it is important to be aware of the problems it can cause with the size of your model. 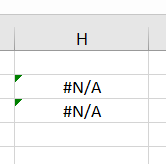 Three columns, each containing three dates with long gaps in between, but only nine values overall. No other tables or queries, no measures, no visuals at all. When you save it results in a file that is a massive 4.7MB – but why, when there’s hardly any data? In this case each of the three tables has 109938 rows. That’s one row for each date between the beginning of the year containing the earliest date in the source column and the end of the year containing the latest date in the source column – which is the best practice for building a Date table, but results in three very large tables in this case. 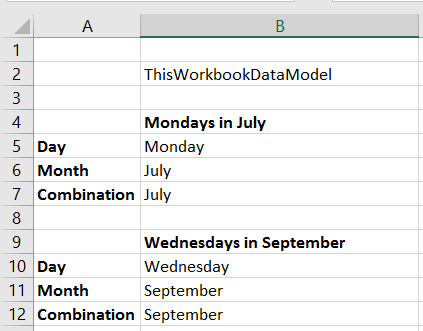 When you do this the automatically created date tables are removed from the model. In this case, after saving, the .pbix file shrinks to 181KB! 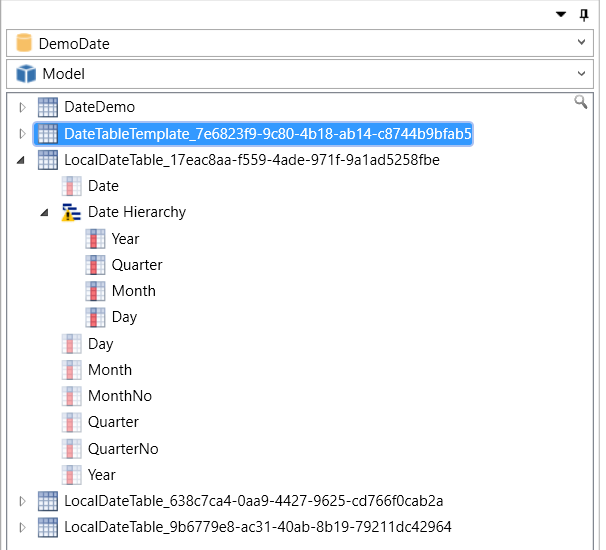 Remember that, by doing this, you won’t get automatic date hierarchies created for you when you are designing your reports and you will have to build any Date tables and hierarchies you need manually. 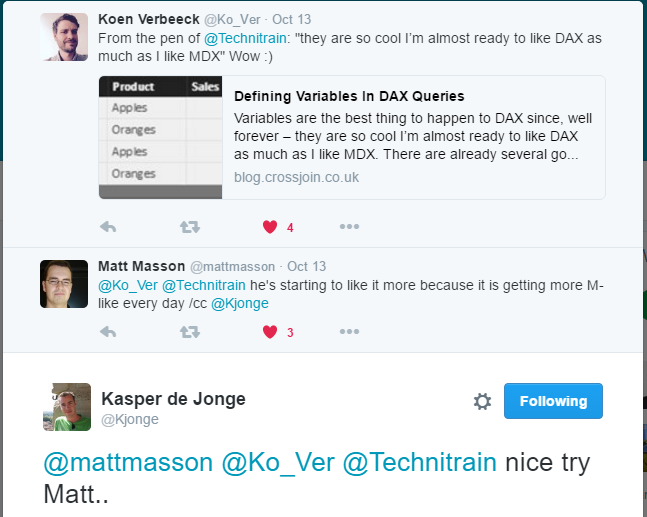 Your date columns contain large ranges of dates. Remember that some systems use 1/1/1900 as an ‘unknown’ date value, which can make things a lot worse. There aren’t any performance benefits to doing this, although of course it helps with code readability and organisation (thanks to Marius for confirming this). Since my last post on the Excel cube functions proved to be very popular, I thought I’d write a follow-up that shows off some more little-known but interesting functionality: how to use the CubeSet() function to combine selections from multiple slicers. The question here is, though, how can you create a third report that shows the number of distinct customers that bought any of the products selected across both slicers? So, using the example above, the report on the left shows the number of customers that bought Mountain-200 Black 38, Mountain-200 Black 42 or Mountain-200 Black 46; the report on the right shows the number of customers that bought Mountain-200 Silver 38, Mountain-200 Silver 42 or Mountain-200 Silver 46; the aim is to create a third report that shows the number of distinct customers that bought Mountain-200 Black 38, Mountain-200 Black 42, Mountain-200 Black 46, Mountain-200 Silver 38, Mountain-200 Silver 42 or Mountain-200 Silver 46 without having to select all those products in a third slicer. 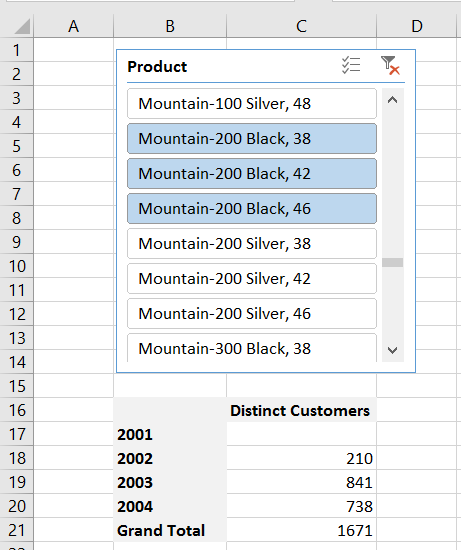 In cell I2 the formula uses the CubeSet() function to capture the selection made in the left-hand slicer in the report above, captioned Product Selection A, which has the name Slicer_Product. In cell I3 there is a similar formula to capture the selection made in the slicer on the right in the report, captioned Product Selection B, which has the name Slicer_Product1. The formula in I4 then uses a third CubeSet() function to combine the sets returned by the last two formulas into a third set. You can download the sample workbook for this post here. The Excel Cube Functions are incredibly powerful, and I’m still amazed at the kind of problems they can solve. 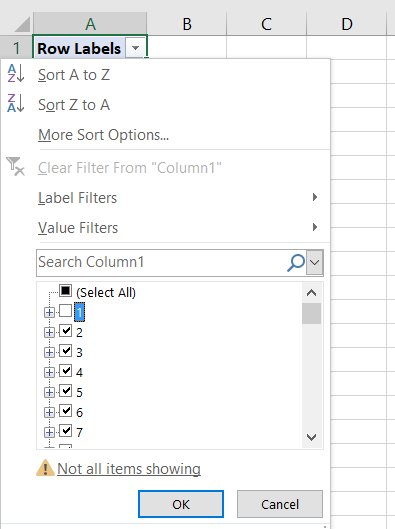 This post describes how they can be used to build a report with a complex OR filter using data from Power Pivot (it’s equally applicable to SSAS) that shows a number of advanced uses of these functions. No knowledge of MDX or DAX is needed but if you’re new to the Excel Cube Functions I recommend that you watch this video of a presentation by Peter Myers, which provides an excellent introduction to them. Cells B5 and B10 contain references to days of the week; cells B6 and B11 contain references to months. Cells B7 and B12 contain CubeMember() functions that return the combinations we want to filter by: Mondays in July and Wednesdays in September respectively. 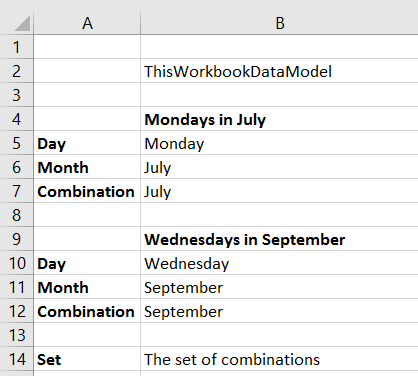 You’ll notice that the ‘combination’ cells only show the month names, not the day/month combinations – this is just a feature of the CubeMember() function and can be a bit misleading, but rest assured they do return the combinations you need. 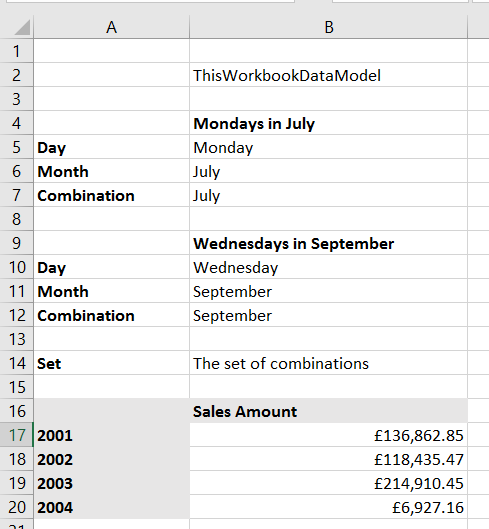 Compare the numbers from the report at the bottom with the values calculated from the PivotTable in the screenshot earlier in this post, and you’ll see that we have indeed shown just the combined Sales Amount for Mondays in July and Wednesdays in September, broken down by Year. You can download the example Power Pivot workbook for this post here. In that post, Microsoft point out that how much of a performance increase you get will depend on a number of factors. I guess they have to do this to manage expectations. 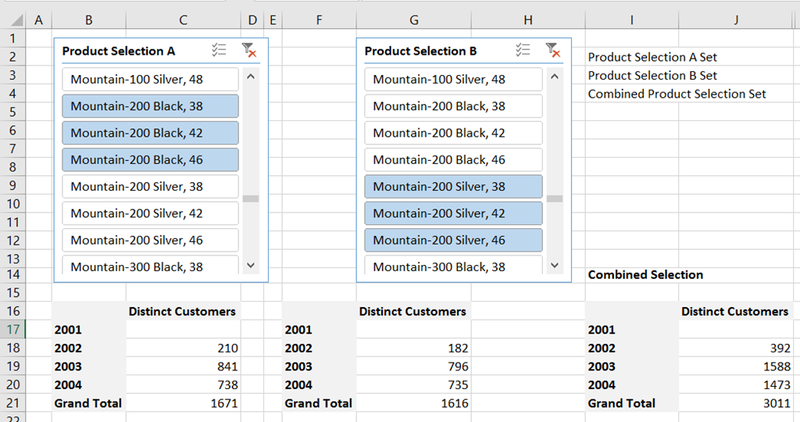 However I’m going to come right out and say that these changes are probably the most important thing that has happened in the last five years for Analysis Services or Power Pivot query performance and if you are using Excel PivotTables with SSAS or Power Pivot for reporting, you should upgrade to Excel 2016 (you’ll need the Office 365 click-to-run version) just for these changes. 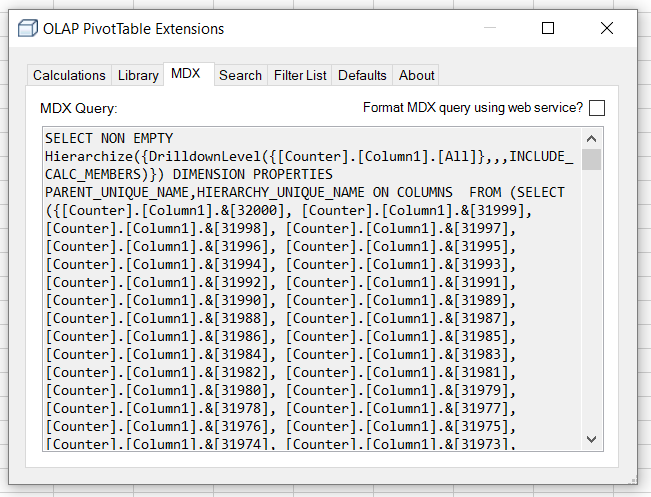 The key improvement that Microsoft have made here is to stop Excel bringing back unnecessary subtotal values in the MDX queries that it generates. This has been a gigantic problem for years and several people have blogged about it: I did here, and among other people Rui Quintino and Richard Lees have posts on the subject that are worth reading. A lot of my consultancy work involves SSAS and MDX performance tuning and I think I see around five to ten customers every year who are seriously affected by this – and I’m sure this is just the tip of the iceberg. Even if you don’t think you are affected, you may have users who are putting up with slow refresh times for Excel-based reports without your knowledge. Let’s go into some technical detail, see what the original problem was and what has changed in Excel 2016. 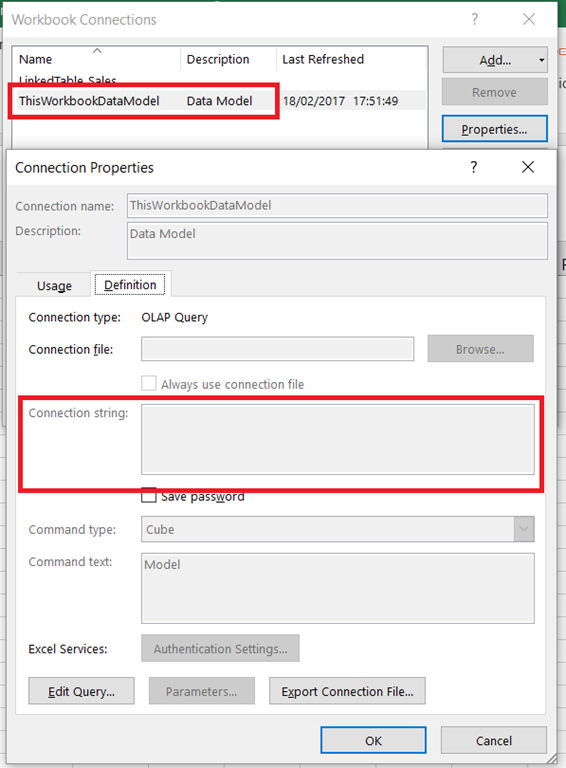 I’m going to provide some examples using Excel 2013/2016 against SSAS Multidimensional but as I said the same problems occur (although less severely) with SSAS Tabular and Power Pivot. 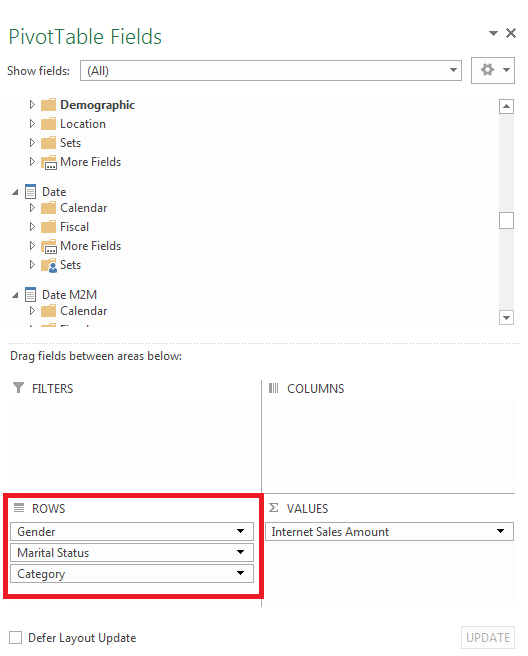 Notice there are three fields that have been placed on the Rows axis of the PivotTable: the Gender and Marital Status hierarchies from the Customer dimension, and the Category hierarchy from the Product dimension. It’s pretty common for users to put many more fields together on an axis when they want to display detailed data. 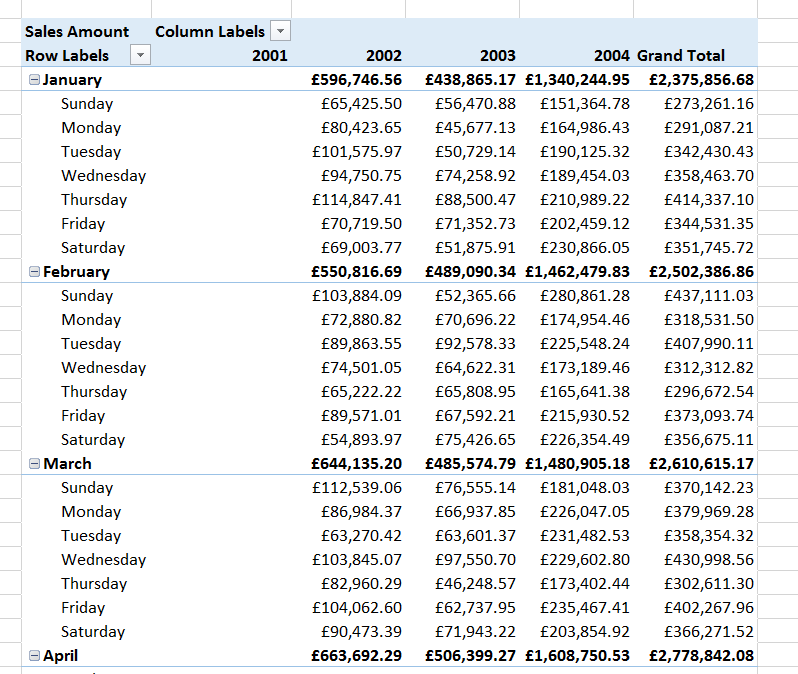 The user has also turned off grand totals and subtotals in the PivotTable so that only the detailed data is shown. This often happens in combination with (1) because if the user only wants to see the detailed data the subtotals and grand totals are a distraction. In this case the PivotTable layout has been switched Tabular and the Repeat All Item Labels option is selected to make the PivotTable look like a table, but these are just aesthetic changes. 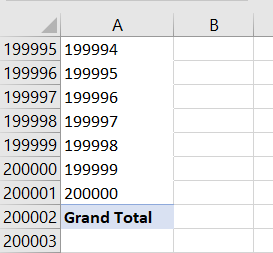 You can probably guess that these unwanted subtotals and grand totals make the query slower, and the more fields you put together on the rows or columns of a PivotTable the greater the number of subtotals/grand totals are returned and slower things get. 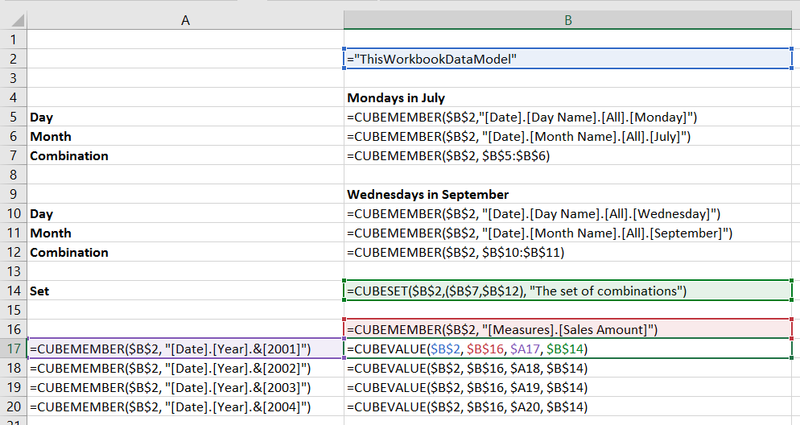 PivotTables connected to SSAS or Power Pivot often become completely unusable with more than six or seven fields put together on the same axis, and the only workarounds before Excel 2016 are either to write custom MDX in a named set (I show how to do this here) or if you are using SSAS Multidimensional try to use member properties instead of separate fields (as Richard Lees shows here), but neither are really great alternatives. Apart from the fact that no All Member is returned, it’s also a lot cleaner and easier to read. I’ve been very excited about this change since I first heard it was happening, and I think it will benefit a lot of people. A big thanks to Alexander Lahuerta and the rest of the Excel team for making this happen!